In 2002 he was appointed the inaugural AIS Skill Acquisition Specialist, then became the Discipline Head of Psychology and Skill Acquisition in 2009. In this position he was responsible for research and support of coaches seeking to develop the skills of Australian athletes. 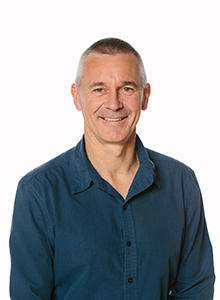 Damian publishes and presents extensively on his research interests, centred on understanding the factors critical to the development of talent and sport expertise, with a specific focus on perceptual and decision-making skill and practice methodology. Giblin. G., Farrow, D., Reid, M., Ball, K., & Abernethy, B. (2015). Exploring the kinaesthetic sensitivity of skilled performers for implementing movement instructions. Human Movement Science, 41, 76-91. Gorman, A., Abernethy, B., & Farrow, D. (2015). Evidence of different underlying processes in pattern recall and decision-making. Quarterly Journal of Experimental Psychology. DOI:10.1080/17470218.2014.992797. Hopwood, M., Farrow, D., MacMahon, C., & Baker, J. (2015). Sibling dynamics and sport expertise. Scandinavian Journal of Medicine & Science in Sports. doi: 10.1111/sms.12387. Timmerman E., de Water J., Kachel K., Reid M., Farrow D., & Savelsbergh G. (2015). The effect of equipment scaling on children’s sport performance: the case for tennis. Journal of Sports Sciences, 33:10, 1093-1100. Buszard, T., Farrow, D., Reid, M. & Masters, R.S.W. (2014). Modifying equipment in early skill development: A tennis perspective. Research Quarterly for Exercise and Sport, 85(2), 218-225. Farrow, D. (2014). Practice-enhancing technology: A review of perceptual training applications in sport. Sports Technology, 6(4), 170-176. Baker, J. & Farrow, D. (2014). The Routledge Handbook of Sports Expertise. Routledge. Fournier, J., & Farrow, D. (2014). 7 Things we don’t know! Coaching challenges in sport psychology and skill acquisition. Mindeval, Canada. Farrow, D., Baker, J., & MacMahon, C. (2013). Developing Sport Expertise: Researchers and Coaches Put Theory into Practice. London: Routledge. Baker, J. & Farrow, D. (2015). A (very brief) review of the historical foundations of sport expertise: an introduction to the Handbook. In The Routledge Handbook of Sport Expertise (edited by Baker, J. & Farrow, D). London: Routledge. Farrow, D. & Abernethy, B. (2015). Expert anticipation and pattern recognition. In The Routledge Handbook of Sport Expertise (edited by Baker, J. & Farrow, D). London: Routledge. Farrow, D. & Baker, J. (2015). The future of sport expertise research: barriers and facilitators in theory and practice. In The Routledge Handbook of Sport Expertise (edited by Baker, J. & Farrow, D). London: Routledge. Farrow, D. (2014). Expertise. In Encyclopaedia of Sport and Exercise Psychology (edited by Eklund, R.C. & Tenenbaum, G.). Sage Publications. Farrow, D. (2015). No more lines. Invited Keynote Presentation: Australian Grand Slam Coaches Conference (Tennis Australia), Melbourne, Australia. Farrow, D. (2014). Skill Acquisition for high performance sport. Invited workshop: New Zealand High Performance Sport. Christchurch, Wellington & Auckland, New Zealand. Epstein, D. & Farrow, D. (2014). Not all practice is the same. Invited Presentation: Cricket Australia High Performance Conference, Brisbane, Australia. Farrow, D. (2014). What Walt Disney can teach AFL coaches. Invited Keynote Presentation: AFL National Coaching Conference, Adelaide, Australia. Farrow, D. (2014).Skill Acquisition perspectives in identifying and developing talent. Invited Keynote Presentation: Identifying Champions Conference, Aspire: Qatar. View Damian's full publication list in Victoria University's Institutional Repository. Professor Farrow has been a leader of or contributor to more than 35 academic and research consultancy projects with a total funding allocation of more than $3 million AUD. Co-supervised 12 PhD students, 1 Masters student and 4 Honours students. Supervision of 7 PhD students (6 as primary supervisor) and 2 Honours students. Catalyst, ABC (2012). Feature story on eye tracking and decision making in Australian Football, June 2012.